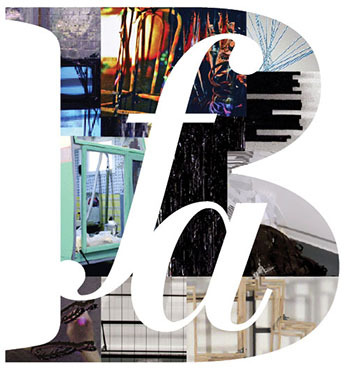 The Department of Art in the College of Visual and Performing Arts will present the “2015 BFA Senior Exhibit,” featuring work by bachelor of fine arts degree candidates, April 23-May 10 on the fourth floor of Smith Hall. An opening reception will be held on Thursday, April 23, from 5-8 p.m., and a closing reception will be held on Saturday, May 9, from 2-5 p.m. The show is free and open to the public. The senior class of artists on view emphasizes reflections on art, contemporary life and the space in between. The exhibition intertwines contemporary modes of presentation with site specifics in a gallery that was constructed by the Department of Art specifically for this exhibition. Artists in the show are concerned with the dynamics of space, which is expressed through installation art, sculpture, painting, new media, ceramics, jewelry, illustration and printmaking. The exhibition is curated by Stephanie James, director of the Department of Art; Kevin Larmon, assistant professor and program coordinator of painting; and Andrew Havenhand, assistant professor of painting. Ron DeRutte, Dean Contanzo and Dave Conway designed and built the space. The gallery is open during regular building hours, Monday-Friday, 9 a.m.-5 p.m. For more information about the exhibition, contact Paul Weiner, undergraduate representative to the Department of Art, at poweiner@syr.edu.